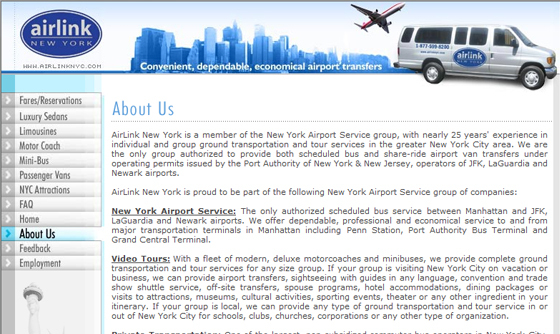 AirLink New York is a member of the New York Airport Service group, with nearly 25 years' experience in individual and group ground transportation and tour services in the greater New York City area. IBCnet provided web design, web development, consulting and search engine optimization services. 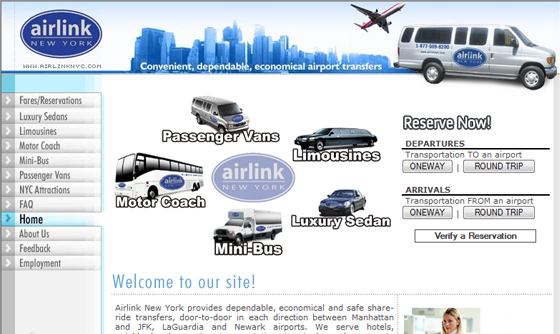 ASP.net, VB.net, CSS, HTML, and Java.